“Ahem! Well…It’s promotion of some product or service”, I said. “…and usually paid for”, he added. Well, there is no dearth of talent and wits when it comes to copywriters having dogs in their artwork, yet for the sake of succinctness in the post, I’ve taken the liberty of choosing four. However in the coming posts I’d again reiterate on the idea. So here’s presenting the Best TV ads featuring dogs. Closer home, in India, the suiting majors Raymonds showed with their commercial that the complete man sports a softer side too. The Mobile service providers Hutch(now known as Vodafone) build their brand in India riding on the back of a pug. The amazingly cute and unforgettable campaign and that sound score still rings a chord. …till we meet again, here’s yoo-hoo from the Dogville! Hachiko, the legendary Japanese Akita dog has been the testimony of loyalty for nearly a century now. In 1924, Hachiko was brought to Tokyo by his owner, Hidesaburo Ueno, a professor in the agriculture department at the University of Tokyo. 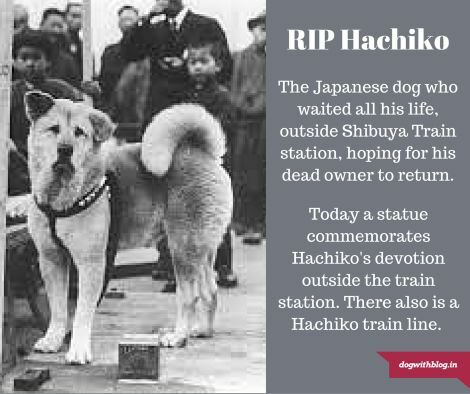 During his owner’s life, Hachiko saw him off from the front door and greeted him at the end of the day at the nearby Shibuya Station. Hachiko and Professor were very close, and every day, at the same time, Hachiko would meet his owner at Tokyo’s Shibuya train station and they would go home together. Even the commuters came to know Hachiko and loved to play with him. The pair continued their daily routine until May 1925 when Professor Ueno didn’t return on the usual train one evening as he couldn’t survive the fatal brain hemorrhage. Hachiko was given away after his master’s death, but he religiously escaped, turning up time and again at his old home. With the passage of time, Hachiko apparently realized that Professor Ueno no longer lived at the house. So he went to look for his master at the train station where he had accompanied him so many times before. This marked the beginning of one of the utmost heart-wrenching love stories you’ll ever pay an audience to….a decade on the trot, Hachiko waited for Professor Ueno to return. And each day he didn’t see his friend among the commuters at the station. 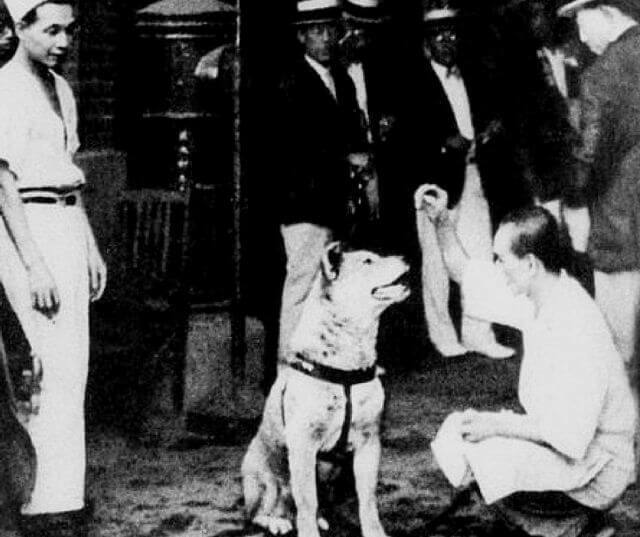 In 1932, one of these articles, published in Tokyo’s largest newspaper, threw the dog into the national spotlight. Hachiko became a national sensation. His faithfulness to his long dead master impressed the people of Japan as a spirit of family loyalty all should strive to achieve. 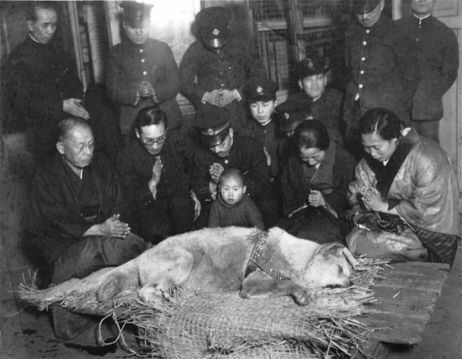 Teachers and parents used Hachiko’s vigil as an example for children to follow. A well-known Japanese artist rendered a sculpture of the dog, and throughout the country a new awareness of the Akita breed grew. 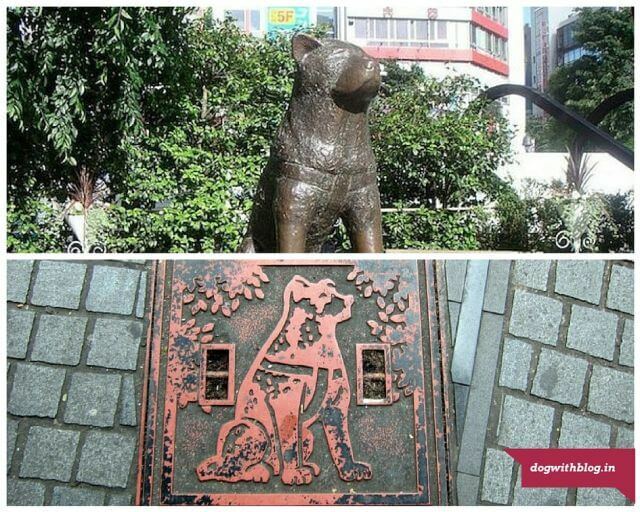 Eventually, Hachiko’s legendary faithfulness became a national symbol of loyalty. An annual ceremony celebrated each year on April 8, Hachiko’s devotion is honored with a solemn ceremony of remembrance at Tokyo’s Shibuya railroad station. Hachiko passed away in 1935, still waiting outside the train station. The Japanese were truly heartbroken and preserved his body at the National Science Museum of Japan. A statue for Hachiko was also commemorated outside the station. The 1987 Japanese movie, Hachiko Monogatari, based on Hachiko’s undying loyalty to his master even after his death was a run-away Japanese box office success. Believe me, if this story fails to arouse an emotional outburst through your lachrymal glands then perhaps you need to seek psychiatry help! 🙂 Adorned with the 1987 Genesis Awards (awarded for films that contribute to the humane treatment of animals), Hachiko movie review scored with critics and audiences alike. This poignant tale, the profound commentary on the concept of “interspecies altruism” is directed in a subtle manner unlike most of the other movies in the genre. This film presents to us the inexplicable bond between two souls of different species. None of the other characters in the film seem to understand it; the man’s own family cannot appreciate it; and I wouldn’t be surprised if we, the audience, are not expected to understand it either. This adds even more value to the magical bond which Professor Ueno & Hachi shared. If you’re an animal lover, you’ll be hooked from the first minute. If you’re not an animal lover, then you’ll be one by the time the movie’s over. Don’t you think humans could learn from that dog? Waiting for someone he loved! (Above) The bronze statue erected outside the station where Hachiko would meet his owner. (Below) On the spot where he would wait, a bronze plaque was put to honor Hachiko’s loyalty. In the summer of 2009 and Hachiko was brought back to the silver screen, this time in a Hollywood production starring Richard Gere. This movie would surely capture your imagination and catapult you to the world which has only lived in your vivid memories like those of Grimm Brothers fairy tales, here’s my homage…a silent nod to Hachiko’s immortal love and loyalty! 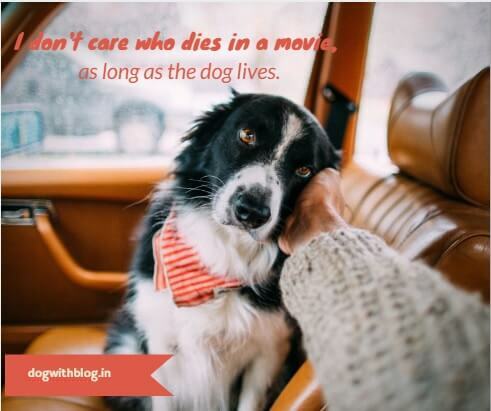 I don’t care who dies in a movie, as long as the dog lives. After nearly a century, finally Hachiko was reunited with his human in a statue.